BJ Baldwin has become one of the most successful off-road racers in North America. He has won the Baja 500, the Laughlin Desert Challenge twice, and the SCORE points championship two times. Despite all his success, however, BJ did not have a solid fan base. 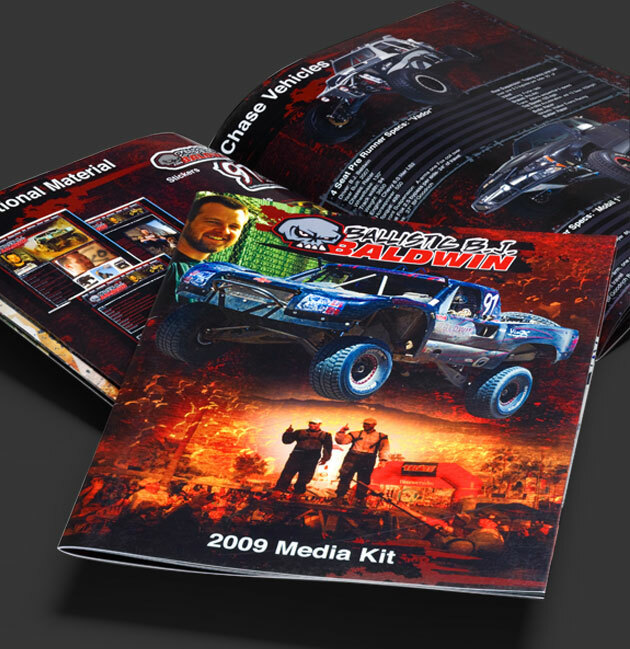 We created a complete marketing package to raise his profile to one of the most visible off-road racers in the world. The package included a website, media kit, race team identity, stickers, signature cards, merchandise, photography, and a series of HD viral web films.